Becoming or being a gadget fan starts with having a hobby or a passion for finding better ways to prepare or achieve a better result. Where else than the kitchen to start with, my family knows I just can not pass a kitchen store, shop or department without browsing around. Same counts for a bookstore, digital electronics and mobile apps. The tools prerequisites; -functional; -practical; -affordable (not always attainable). Handy is The magic word. I am not sure where the line draws or fades between household appliances and professional equipment. Or what defines an amateur from a professional, while both being passionate in what they design, prepare for the desired outcome. A great dish starts with fine ingredients, a good recipe with the right proportions and the cook bringing it all together. Does equipment, having the right tools make a difference? Is it about the end result creating divine taste and presentation? The responses to these questions will evoke more than a straightforward answer. The one thing I know is that the tools of the trade and gadgets really can lighten up my day. As a teenager I started whipping cream and cakes by hand with an egg beater, slowly advancing to use electrical tools for speed and better results. One thing leads to another by searching for better vessels, improving technique, handy or specific gadgets followed by investing in equipment. I purchased a KitchenAid Professional 5 Plus Series 5 Quart Bowl-Lift Stand Mixer more than a decade ago. I fell for the patented PowerKnead Spiral Dough Hook and quantity (size), making batter and bread for a large family with guests. As a bonus, the promotion at the time included extras; a second stainless steel bowl; 2 plastic bowl covers. The pouring shield with wide chute was bought separately, even still the bonus was a real bargain. If you have to buy these items separately now the total sum now will be around $70-$80 (click on the bowl link for the frequently bought together overview at the bottom). If you have to buy these items separately it easily adds up $70-$80 (click on the bowl link for the frequently bought together overview at the bottom). 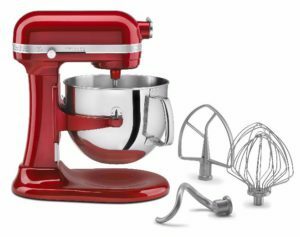 KitchenAid discontinued the 5 Plus Series model and launched a whole new Artisan and Professional range. My 5-quart stand mixer model still works without fail together with the stainless wire whip, the hook and paddle as standard attachments. The only con would be when using the flat beater you still had to scrape the sides as with other likewise counter top machines. 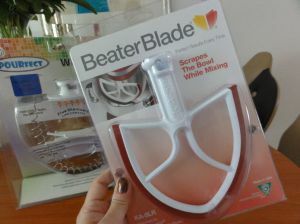 Beater Blade with a patented silicon wing for KitchenAid which beats, scrapes and folds ingredients beautifully from the sides cleanly no separate scraping needed, the New Metro design Beater Blade an accessory I use as a standard for mixing batters. 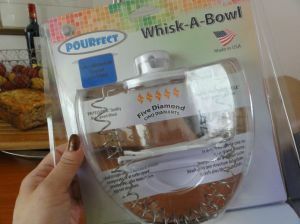 Whisk-A-Bowl by Pourfect, a KitchenAid exclusive tool. This attachment outperforms the standard large balloon whisk in beating egg whites, it cuts down on time and improves the volume of beating egg whites. I also came across the Pourfect Mixing Bowls and Measuring Spoons sets. The measured mixing bowls are easy for prepping ingredients with a little lip at the pout making it easier and sturdier while pouring. KitchenAid Sideswipe blade is its own improved design as an extra attachment which has soft swipe fins with gaps for better mixing with nuts without crushing them, according to America’s Test Kitchen it outperforms the Beaterblade in better results. Another tool is the use of silicon mats, they come in various sizes but a silicon pastry mat with measures makes it easier while rolling the dough. The one displayed in the carousel is a Norpro product, by luck in our neighbourhood the local Lidl supermarket store than had an offer just as good and almost in the same price range. 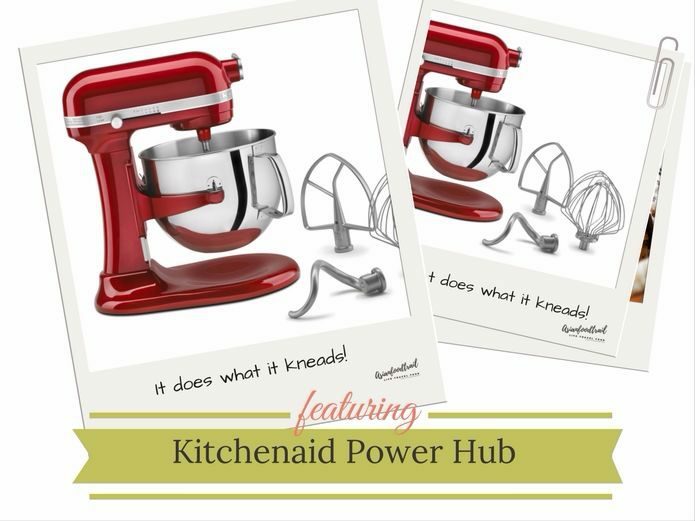 Tip: 02/10/2014 On Amazon.com website I just found out that they sell The KitchenAid 5 Plus Serie KV25GOXER, the same model I own and based this post on. The original list price was $419,00 and now on sale for $287,00 FREE shipping. It was the smallest professional model now being discontinued, but the accessories are still available on the market.